At PBS Contractors, we have built a variety of new construction and renovation projects and we really pride ourselves on the relationships that we have built through the years. Anthony J. Vallee, Architect, llc provides environmentally-sound architectural services for Residential, Interiors, and Planning projects of varying styles and budgets. McHarris Planning and Design is a firm with excellent experience and reputation in the public, private and development sectors. Our skilled and professional team is with you every step of the way! Sunset Builders of South West Florida, Inc.
Sunset Builders is a custom home builder on Marco Island in Southwest Florida. We provide our clients with the very best in custom home building and design. With over 300 homes built on Marco Island, we can help with all your building and real estate needs! Feel free to visit our model home today. D. A. George & Sons Construction, Inc are professional builders of exquisite dream cottages and commercial properties on Southwest Florida’s Gulf Coast. Kukk Architecture & Design, P.A. is a design oriented architectural firm specializing in single family residential, small commercial projects and remodel/additions. We have built projects throughout Florida and have worked throughout the country. We pride ourselves on providing distinct architectural solutions tailored to our client's lifestyles within the framework of a strong team relationship. High quality of service, good listening skills and diligent respect for deadlines are hallmarks of our practice. The firm has a growing reputation for creating architecture forged out of strong relationships and open collaboration between owner and architect. We have a seven person staff from all over the world, each contributing a unique background and professional experience to the firm. Most clients already know what they want, but they need a guide to help get them there. We can show you the design of your home in drawings, color renderings and 3D computer modeling. We are dedicated to bringing our clients ideas and vision to reality. Thank you for the opportunity to be your architect. Since 1995 Paragon has been one of Naples premier construction professionals. A luxury, residential DESIGN-BUILD company, DIVCO Custom Homes has been known as an industry leader in Southwest Florida for over 35 years because we insist on building QUALITY homes. More than 1,350 home buyers with waterfront, golf course and estate home sites in 60 different communities and neighborhoods have selected us because we care so deeply about superb workmanship. DIVCO’s field construction and administrative staff have committed their careers to the housing industry, collectively representing over 90 years of experience. DIVCO builds homes of superior quality at competitive prices. We will not always be the lowest price, but our satisfied customers rave about their home's value due to our insistence on using top-quality materials. 35+ years of elated customer experiences have proven that the "you get what you pay for" philosophy is absolute truth when it comes to custom DESIGN-BUILD homes. Your satisfaction is our number one priority. And that's not just industry-speak. We know that building a custom home is not only a financial investment, but also a very emotional adventure in nearly every instance. At DIVCO Custom Homes, we understand these principles because we have been listening to customers for over three decades! Our delight is in knowing that your experience of walking through your door every day continues to take your breath away for years to come. When you are ready to create YOUR home YOUR way, please contact us. We can't wait to meet you. Our primary focus is delivering high-quality craftsmanship & superior customer service on every project that we undertake. We would be honored to turn your dream home into a beautiful reality. Hlevel Architecture is a young, internationally working, award winning full service design company based in Naples, FL. We specialize in unique, high performing architecture and healthy living. Clifford M. Scholz Architects Inc. Founded in 1992 and celebrating 20 years of successful design collaboration with clients. CMSA has been making a mark on many premiere waterfront properties throughout Florida. Full Service State Licensed Residential New Construction & Custom Remodeling Contractor. Luxury Home Solutions has been building trust & relationships in Southwest Florida for over 30 years. You are guaranteed peace of mind when you experience the commitment & service that make up LHS. Mark Nourse Construction, a respected and sought after building contractor, specializes in custom home building and remodeling. With more than 30 years of experience, we provide you with confidence in the work and assurance in the end result. Whether you are looking to update your current home or interested in building a new home, Mark Nourse Construction can help meet your needs. We strive to provide our homeowners with a wonderful construction experience by utilizing the finest craftsman and best materials available. *Free consultations and estimates are available. We deliver the highest level of design, service and project management, and seek to reevaluate and re-identify our environment in order to create new and relevant design solutions for our clients. The principle owner of Sweet Sheldon Construction, John Sweet, is originally from Louisiana. After a career in the hotel industry, he relocated to Naples in 1993. He has a strong belief in customer service. “I believe in giving people what they want but being up front with them as to what it takes. Our honesty and integrity is what makes the difference. We become partners during the building process.” John has experience in both the commercial and residential sides of construction for many years. He has worked with notable companies over the years until sitting for his General Contractor’s License in 2003. He has managed building projects in Bay Colony Golf Estates, Port Royal, Pelican Bay, Quail West and The Colony as well as build outs in multiple high rise condominiums. My clients become my friends during the building process and it’s a great feeling knowing that I have the ability to change people’s lives and being part of their lives even after the building process is complete. I value these friendships and the responsibility that goes along with building and accomplishing someone’s dream. With over thirty years experience in the building industry, we bring only the highest level of expertise and customer service to each and every building or remodeling project. WJS Group, LLC is a General Contracting and Construction Management firm providing professional residential and commercial construction and remodeling services to Southwest Florida clients in Naples, Bonita Springs, Fort Myers and Marco Island. Your concept, combined with our vision and top quality workmanship, promise a successful project we can both be proud to call our own. Our success is measured by your satisfaction and complete confidence in our ability to understand your project intentions, address your concerns, meet your goals and deliver on our promises. At WJS Group, building isn’t just our job, being creative builders is who we are. What we produce is a reflection of our passion to always aim for the very best. We don’t compete against other contractors for work, we collaborate with our clients toward the common goal of achieving phenomenal results. This approach has made our completed projects, along with the enthusiastic recommendations they have generated from satisfied clients, our two best sources of advertising. Royal Constructors is a Certified Building Contractor located in Naples, Florida utilizing over 25 years experience. We specialize in custom construction and creative remodeling solutions. Your home is distinctly yours. Its design style, architectural elements and floor plan speak volumes about who you are, your dreams and what is important to you. At Weber Design Group, Inc., we’re in the business of designing your dream and working with you to bring it to fruition. We've been doing exactly that for luxury home clients throughout Southwest Florida, the United States and around the world for over 25 years. Our intention is to design a home that suits your needs and your lifestyle perfectly. Our job is first and foremost about listening. We never forget that. Our design process is focused on getting to know your likes, dislikes and aspirations and then creating a home you will thoroughly enjoy. We are passionate about what we do. Your total satisfaction with the end result is our barometer of success. We have been privileged to have worked with elite clientele and to have our designs executed by some of the most prestigious, quality driven and demanding home builders in the world. For that, we are grateful. What is your dream? Let’s design it together. Poppa Construction, Inc. is an independent general contracting firm that not only delivers impeccable results but prioritizes its clients. Our number one priority has always been customer service. Consult a dynamic team of compassionate people who are dedicated to counseling you through a smooth remodeling process. Expect superior, innovative design services and premier construction quality. As unique as each of our clients are, so too is our approach in translating visions and ideas to beautiful realities. Whether it’s remodeling a space or building a new custom home, our team of seasoned professionals and artisans bring a lifetime of expertise, skill, and care to your home. Our service is personalized, from our first meeting with you, to the day we present a beautifully finished space, and for years to come. We take the time to fully understand your needs. The results? We exceed your expectations. 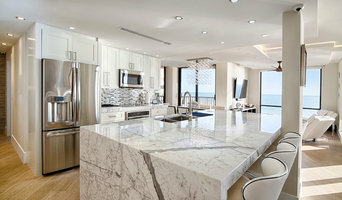 Over the years, we have created new spaces, remodeled others, and built entirely new custom homes in some of Southwest Florida’s most pristine addresses, including: •Port Royal • Royal Harbor • Bay Colony • The Colony • Pine Ridge • Gulf Shore Boulevard • Park Shore • Old Naples • Sanibel • Captiva For over 20 years, Specialty Building Services has been proud to partner with Collier residents in helping to make their dream of a custom home a reality. For those who want what no one else has and for those who believe that their custom home should be as unique as the family residing, Specialty Building Services is the right choice. 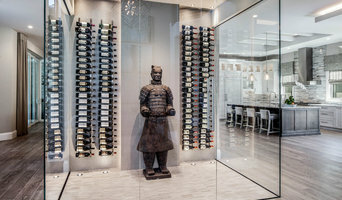 Established in Naples Florida in 1986, Andrea Clark Brown Architects, P.A. has earned a distinguished reputation for producing an architecture of unique signature. Lundstrom Development has been a Naples Florida luxury home builder for over 35 years. 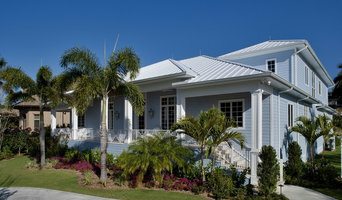 We specialize in custom home building in the Naples and Marco Island area of Southwest Florida. In that span of time, we have built a reputation founded on honesty, integrity, loyalty and trust. Delivering a superior product at a fair price has been our number one priority since day one. We are a family owned and operated, third generation builder. We strive to build using the latest "Green" building techniques to minimize our footprint on the environment. We take pride in keeping our customers abreast of the latest trends and materials. As one of our customers, you will be dealing directly with the owners of the company. Communication with our clients is a main factor in our success in customer satisfaction. Regardless of the size of homes we build, dedication, teamwork, and the creation of trust are fundamental to how we do business. All new construction homes are built with care and attention to detail.